Neutrik NeutriCON Female cable connector housing, black coated, 90� coding. 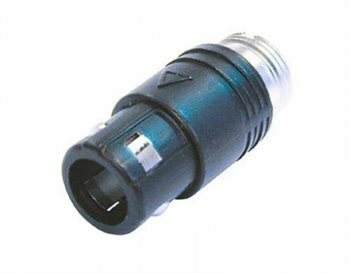 Versatile Circular Connector. Modular system - few parts, many variations. Contact configuration can be selected from 1 to 8 contacts. Easy, fast and screwless assembly. Push-pull self locking system. Very robust, all metal housing.